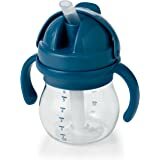 Amazon's Choice for "oxo tot sippy cup"
The perfect trainer cup for baby’s first sips. 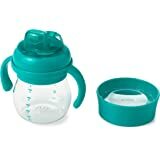 The OXO Tot Transitions Soft Spout Sippy Cup with Removable Handles helps baby learn to drink from a cup, one sip at a time. 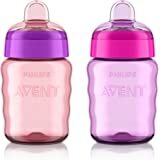 The soft, almond-shaped spout comfortably conforms to your child’s palate and is gentle on your baby’s sensitive teeth and gums. 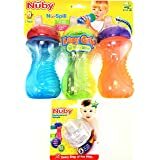 Easy-grip, non-slip handles are perfectly designed for little hands and can be removed when baby’s ready. 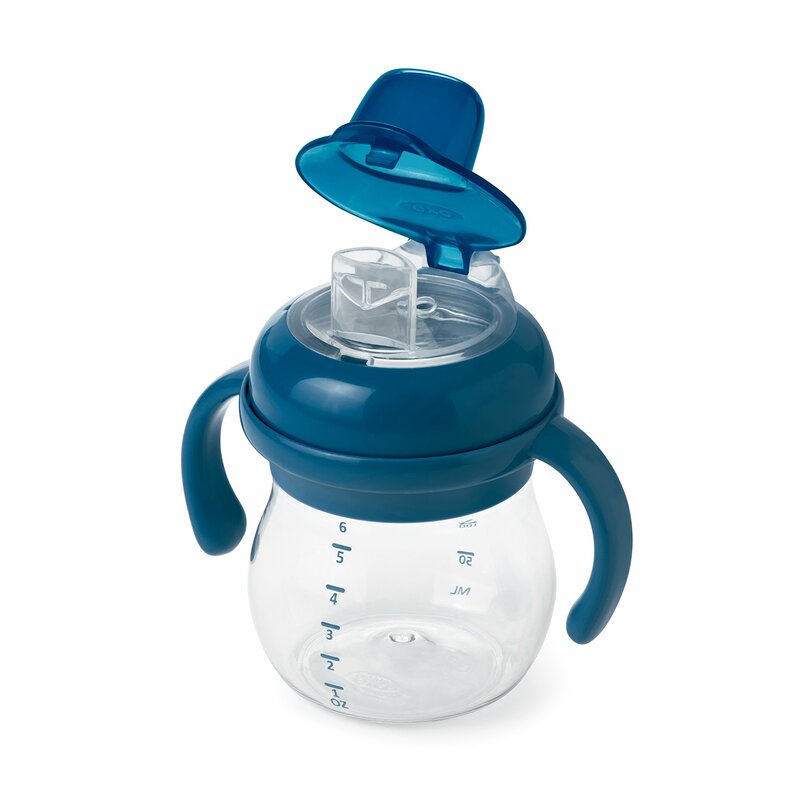 Each cup in our Transitions series has interchangeable parts so you can customize your Sippy to suit your tot’s each and every stage. 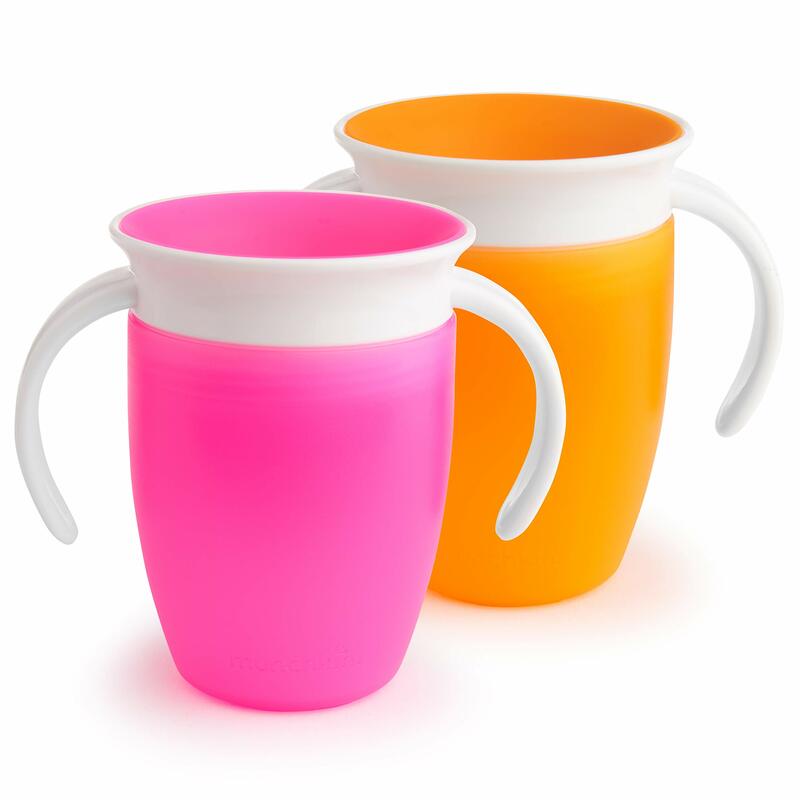 Designed without crevices or hard-to-reach spots, this dishwasher-safe cup is a cinch to clean. 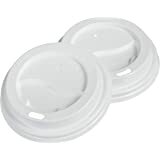 The lid comes apart and the hinged cap can be removed for a serious scrub. 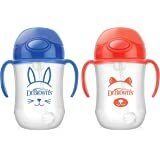 Designed in collaboration with speech pathologists; the patented, almond-shaped spout is gentle on baby’s sensitive gums. 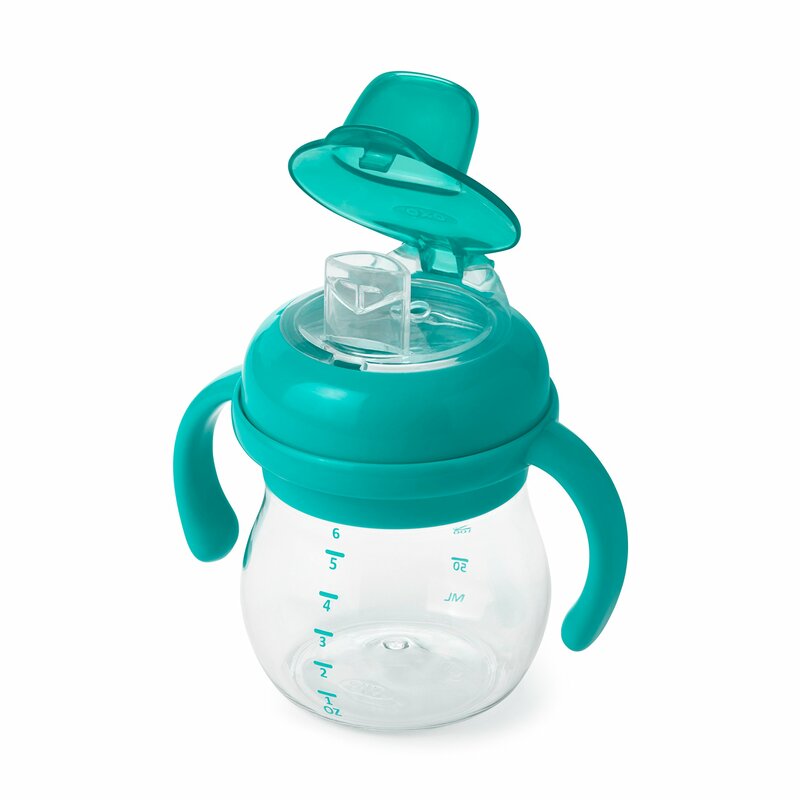 The leak-proof valve opens as soon as your baby’s lips touch the spout so drinking from a cup is easy. 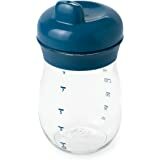 Made of crystal clear, BPA-free Tritan, the cup is shatter-resistant and travel-friendly. 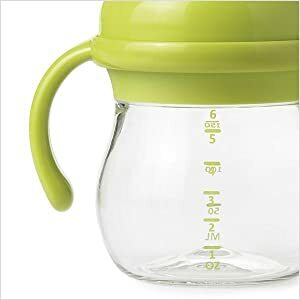 Con-venient measurement markings let you know exactly how much baby drinks. 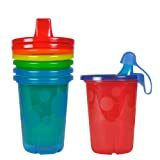 No matter your child's stage or preference, we have the perfect Cup to make you and your little one happy. 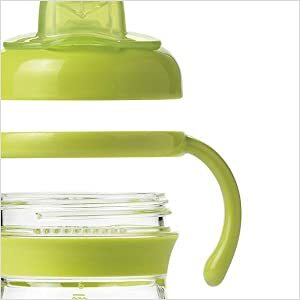 OXO's Transitions Soft Spout Sippy Cup with Removable Handles features a patented almond-shaped spout which conforms to baby's palate. 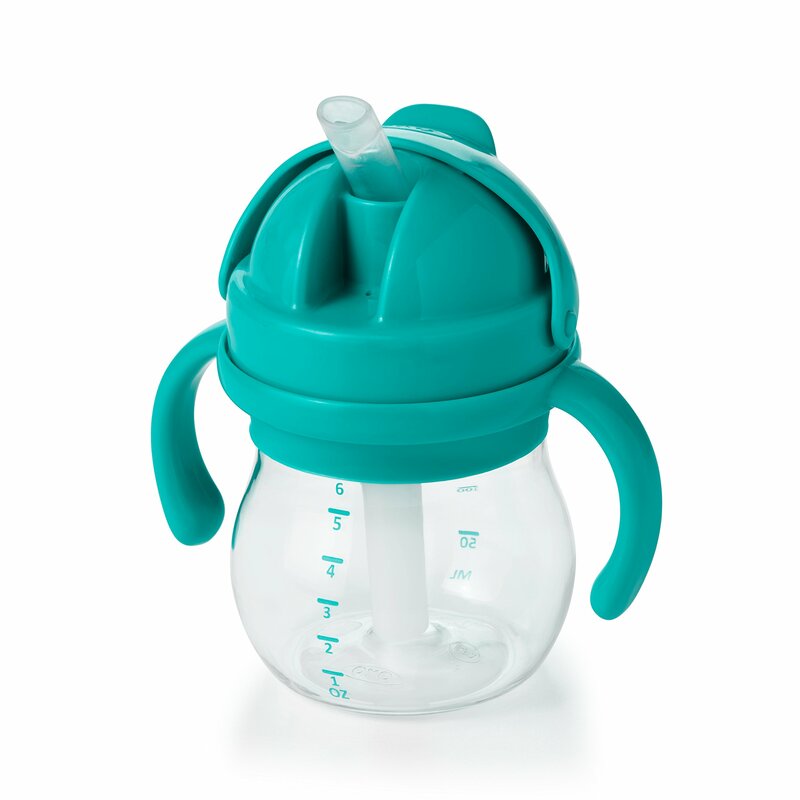 The spout has a natural flow rate for easy transition from bottle feeding, and is protected from leaks by an easy to open cap. 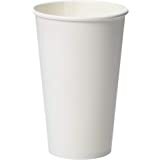 The Cup has convenient measurement markings, and soft, non-slip, removable handles. 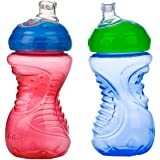 The OXO Tot Transitions Series features interchangeable cups and lids for easy transitions from infant to toddler to big kid. No spills so far. 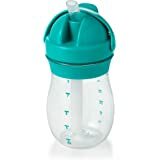 This is my daughters first sippy cup so we are still getting the hang of it. But I love the cup already. 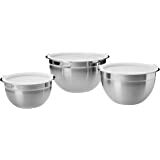 I like the shape of it as well as the lid. 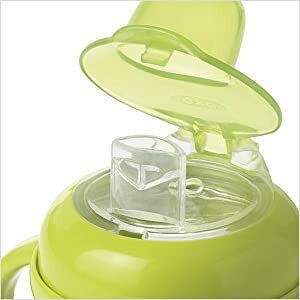 It snaps closed and is tight so the lid doesn't flop around. So when she tilts the cup up she isn't getting whacked in the face with the lid, it just stays back. This cup is only days old so I wouldn't know how long that lid will remain tight. 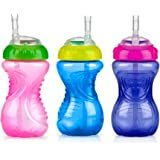 So I have purchased a few different sippy cups because I wasn't sure which one my daughter would like the best. This was the definite winner for her and me. 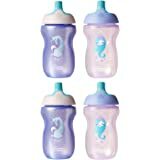 It has an easy soft spot for her to sip from without any problems. 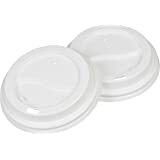 I have now bought 2 because they are also super easy to clean. Everything comes apart and you can be sure that every piece gets clean. While I like that the lid is attached to the cup, it seems to always get in the way. 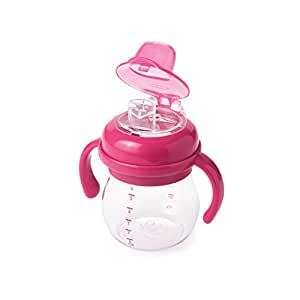 Because the top of the cup is so big and the spout placement is on the "bottom" of the top, my daughter has to press her nose into the lid while she is drinking and doesn't seem to like doing that. 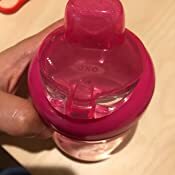 Also, the part of the top that holds the lid into place hits her right above the nose, in between her eyes when she is tilting it up to drink. This just seems like a poor design to me. We plan on tossing this cup as soon as the replacement arrives. 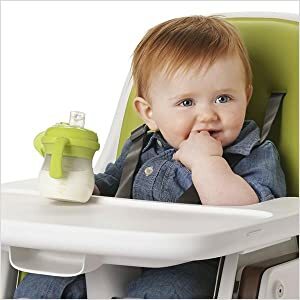 I wasn't sure if this is the right thing for my son who is 10 months, but we have been using it for a month and he's liking it. He is starting to hold it by himself and trying to drink... It is easy to clean, and I like how it does not have cute illustrations on the cup. 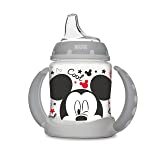 5.0 out of 5 starsBaby loves this cup! Great intro to self feeding! 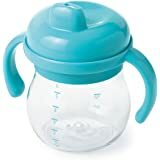 Baby loves this cup, a great intro to cup drinking with option to use with or without handles. A bit pricey compared to other cups but I see why. Purchased a second one. Two thumbs up. 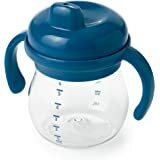 Tried a variety of cups for my 16 month old grandson but this was the best. 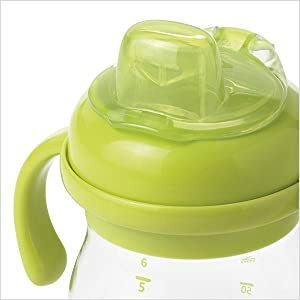 He could drink out of it easily, the handles turned so the opening always faced him and best of all it had a cover for the opening attached.